Lviv is probably second best globally-known Ukrainian city after Kyiv. Located in the west of the country, quite close to Ukrainian-Polish border, it, with its ancient architecture, unforgettable atmosphere, amazing gastro-culture and endless number of topical restaurants, coffee shops and cafés, rightfully occupies a prominent place on touristic map of Eastern Europe. Today 10 dollars in Lviv are good enough money and they can be spent in very interesting ways – and we are about to tell you what these ways exactly are. We should probably start with transport. 10 dollars can buy you a taxi ride through the entire city and it’s not about Lviv being not too big when compared to large metropolises. It is the largest city of Eastern Ukraine with population of 700 thousand dwellers after all. It’s just that transportation there isn’t expensive. Our sawbuck also allows us 60-70 trips in trams and trolleybuses so there are sure not to be any problems with moving around. Speaking about leisure time, 10 dollars easily allow you have some great rest both in cultural and gastronomic sense. Filled with amazing and unforgettable museums, among them creepy Pharmacy Museum, majestic Potocki Palace and Royal Chambers stand out particularly, Lviv attracts both Ukrainians and foreigners. Our money can buy entrance tickets to any of them for a group of 5-7 people – this cannot but please because in many European cities a ten may not be enough even for one admission fee. 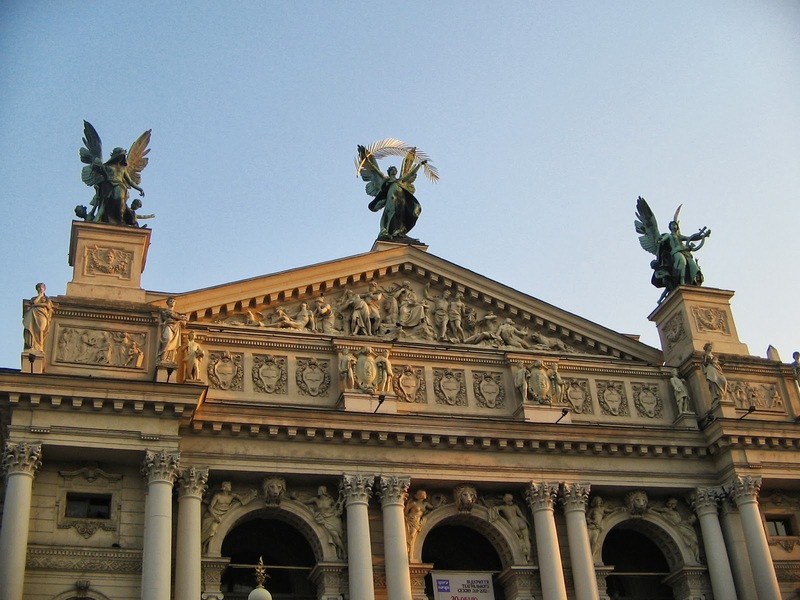 We also recommend to go to local theatres – dramatic one and opera. Our budget is enough for several tickets therefore tourists can taste not just city itself with its architecture and landmarks but also get introduced to local art. And the latter one is on a very high level – there is a reason why the city is considered cultural capital of Ukraine and is actually highly rated in neighboring countries. Let’s move to restaurants and cafés because culinary masterpieces of local chefs, baristas and bartenders is also akin to haut art. There is a good reason while during long holidays in May seemingly entire Ukraine gathers in Lviv for the city itself to resemble one huge food festival. Fried chestnuts, burghers, patisserie, exquisite and dizzying liqueurs, super-tasty chocolate – establishments and stalls of the Old Town are filled with all this stuff. With ten dollars in your pocket you can safely enter as nearly as any café being sure that this money is enough for a substantial lunch for at least one person. 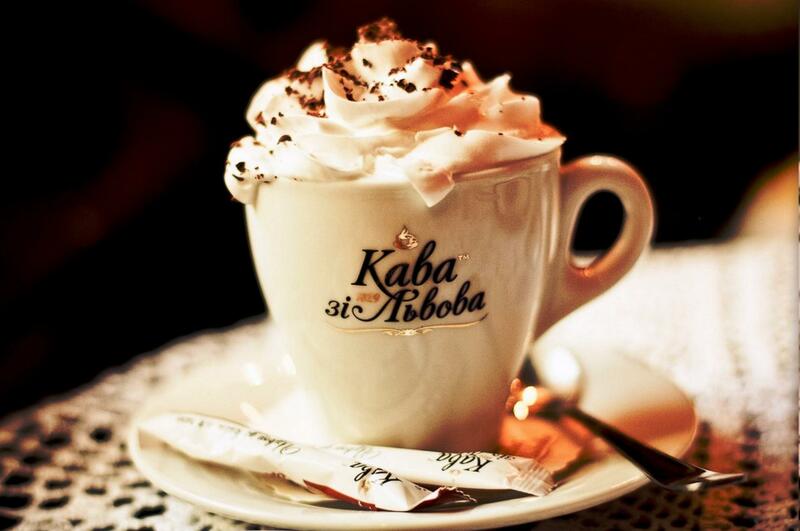 At coffee shops with this money one can try like half of entire menu because 1 cup averagely costs about 1 dollar. At supermarkets a sawbuck is enough to decently stock up on goods for several days. Our bill buys 4-5 kilograms of chicken or 2 kilograms of a fairly good cheese, or 45-50 kilograms of potatoes. We are 100% sure that ten dollars is enough to buy you basic positions in sufficient amount together: bread, milk, vegetables, meat or fish. One can have 2-3 bottles of good wine, same is true for local liqueurs. This amount can rent you a bicycle for 24 hours for you to ride around local hills to your heart’s content and conquer famous summit – Lviv High Castle – that commands impressive views of the city centre. 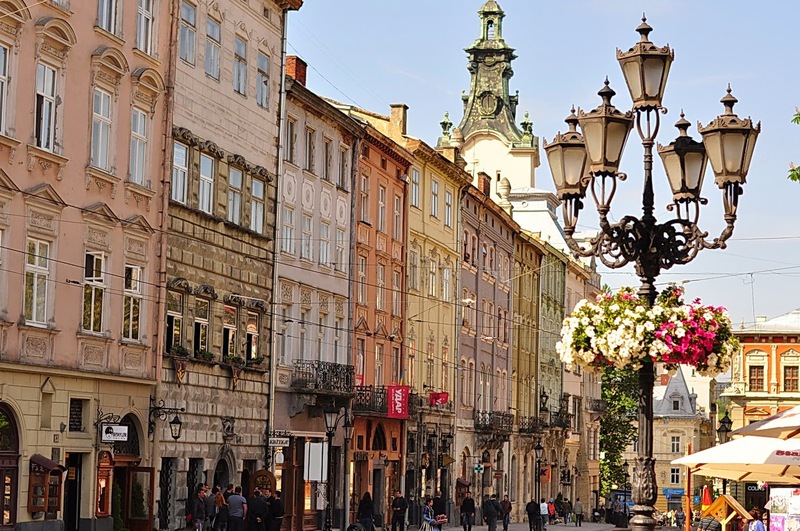 Sure enough, it is very improbable, but still, should you get tired of Lviv – however unlike that is – though being small, it needs to be regularly rediscovered by going there every year – but that’s not a problem either. Ten dollars is exactly the amount required for a trip around the oblast where ancient castles are located – Olesko, Pidhirtsi and Zolochiv. A one-day sightseening tour around them will cost you right about this money. While no money can measure pleasure from medieval beauties and rich nature! Come to Lviv, this amazing city is really worth it, even more so that a failure to visit it while prices for tourists in Ukraine are still affordable is a true crime. This place is unique because Ukrainians go there to feel themselves amidst this European architecture and beauty as if outside native country though mindset, language and traditions are customary for them. Europeans, on the other hand, wig out from exploring a completely different culture and people while all the “exterior” doesn’t feel strange to them.